The Association of Magazine Media (MPA) has conducted a new survey which reveals what we have long suspected, readers are taking to digital magazine’s in record numbers and in-turn buying more content digitally. The organization surveyed 1,0009 adult digital magazine readers and found that 90 percent of those users read as much or more content than they did before purchasing a tablet while two-thirds of readers say they actually read more publications now that they can be obtained digitally. The study has also revealed that 76% of readers say they preferred a newsstand-style subscription for all of their reading materials rather than an individual app download for each publication. The MPA study has also found that many readers would like to read digital back issues of their favorite magazine publications (55 percent). Readers have also revealed that they would love to buy products they find in digital magazines directly from the pages they are reading (70 percent) and to buy directly from digital ads (59 percent). 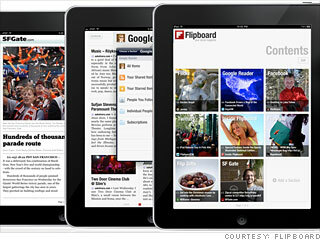 With the digital magazine space still a relatively new venture for many publications it’s likely that digital buying standards will be improved while purchasing publications will become even more streamlined thanks to the innovations being offered by various newsstand type applications including Flipboard, AOL Editions and Yahoo Livestand among others. Do you find digital magazine subscriptions to be a better offering when compared to traditional paper based issues? I personally like the ability to read a magazine and not have to worry about the entire issue of recycling.